From 31 March our new commercial partner Teleperformance Ltd will take over the running of our Visa Application Centre (VAC) in Lilongwe. They have subcontracted to the current supplier – FedEx – so there will be no change in the day to day management of the VAC. User Pays charges. From 31 March, there will be a charge of £59 to use the Visa Application Centre in Lilongwe…. Malawi government has finally confirmed Bhonnox Group of Companies (a subsidiary of paramount group of companies) tricked them on the sale of the presidential jet. 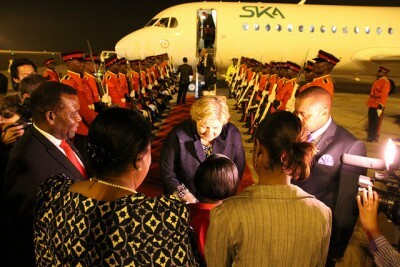 And it has also confirmed that money realized from the controversial presidential jet didn’t reach either Treasury or the Reserve Bank of Malawi (RBM). But instead the Presidential Jet was sold in the old batter type of trade. Speaking to journalists in Lilongwe, Finance Minister Maxwell Mkwezalamba said the presidential jet was sold to Bhonnox Limited at US$15 million.